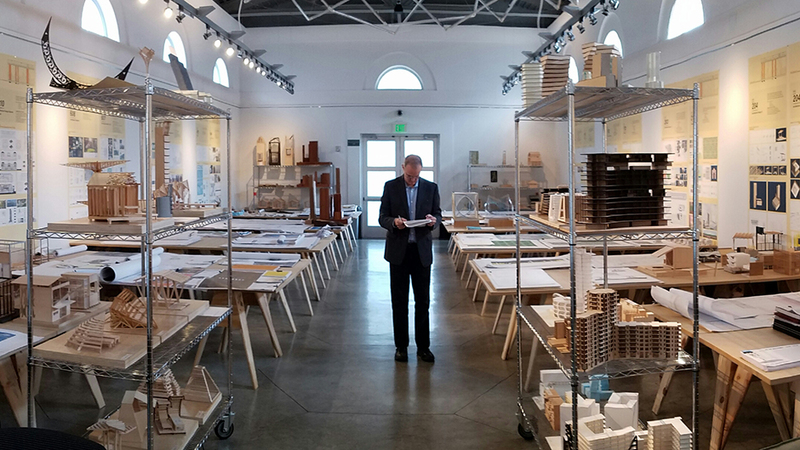 A visiting team from the National Architectural Accrediting Board (NAAB) will be at U-SoA, through Wednesday March 1st. The National Architectural Accrediting Board (NAAB), established in 1940, is the sole agency authorized to accredit U.S. professional degree programs in architecture. Because most state registration boards in the United States require any applicant for licensure to have graduated from an NAAB-accredited program, obtaining such a degree is an essential aspect of preparing for the professional practice of architecture. The NAAB’s vision statement asserts its role in enhancing the value, relevance and, and effectiveness of the architectural program. U-SoA would like to welcome the NAAB visitors and thank all of the team members, program administrators, faculty, students, and staff for contributing time and talent to this important effort.